American justice is routinely biased against Black people. AFRICANGLOBE – It’s time we stop lying to ourselves. The lie is that in America, everyone is equal under the law. 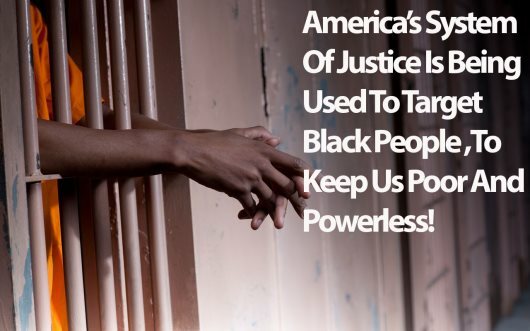 Even though the Thirteenth Amendment to the U.S. Constitution supposedly ended slavery more than 150 years ago, Black people are still forced to wear the shackles that are the double standards in our country’s legal system. Bigots and racists use our system of laws and law enforcement to police Black bodies, making it clear to Black people that we are neither welcome nor expected to exist in White spaces. Ohio maintains a specific public order that allows Whites to walk the streets with automatic rifles unmolested by the police, but justifies gunning down a Black man who is purchasing a BB rifle in an open-carry state. And it finds no fault in a police officer executing a 12-year-old Black boy for playing with a toy gun in a park. This is the law in Ohio. Many cities and states maintain a specific public order that targets Black people for fines and the confiscation of property in order to fund local and state governments. Ferguson, Mo., was proven to use the disproportionate levying of fines on Black people to fund their municipal activities. That was the law in Ferguson. The slave codes, the Fugitive Slave Act, the Jim Crow laws of years past and the gutting of the Voting Rights Act just a few short years ago are all part of a process of authoritative control by certain community members to establish and maintain a specific public order that keeps Black people in shackles. There are many more laws that do this, but the list is too long to discuss in this short commentary. By: Oscar H. Blayton is a former Marine Corps combat pilot and human rights activist who practices law in Virginia.